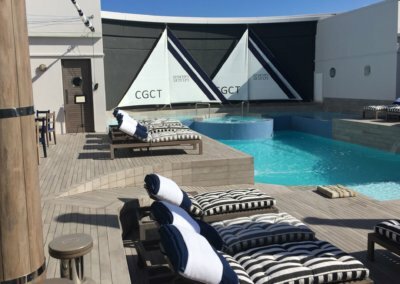 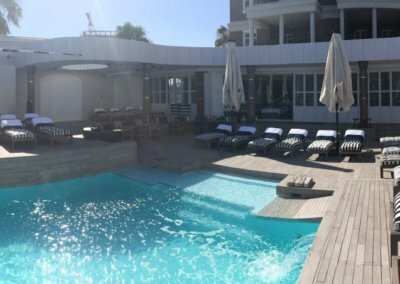 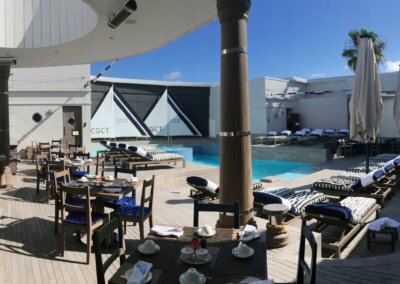 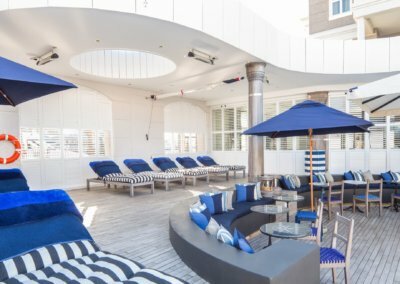 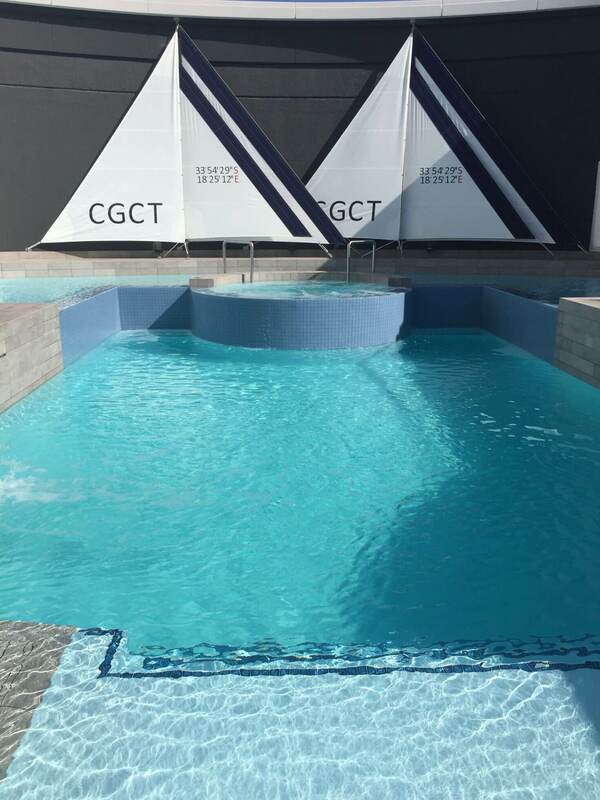 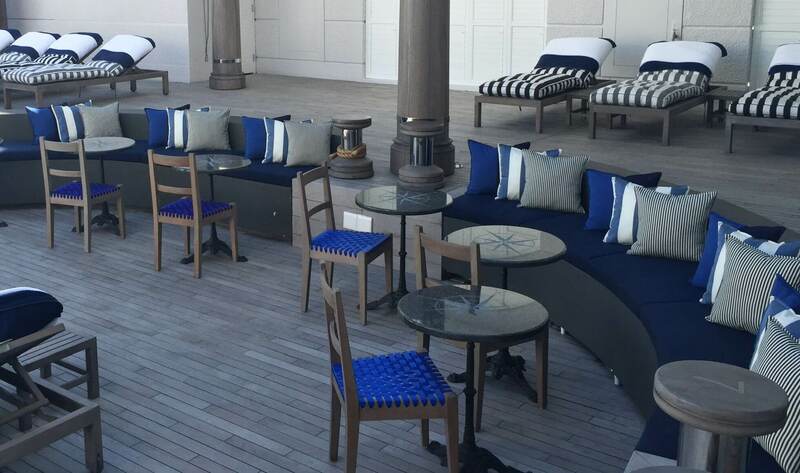 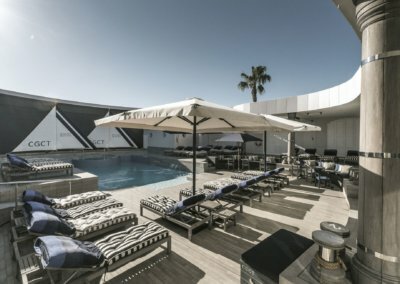 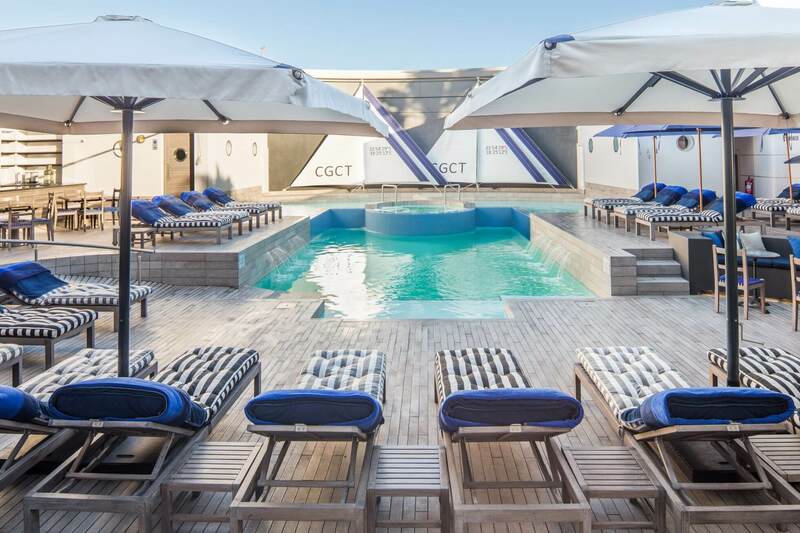 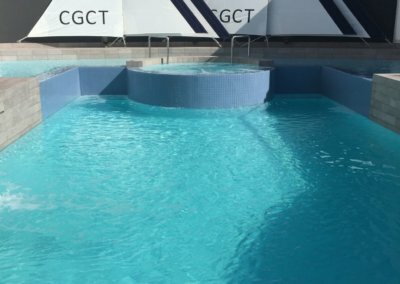 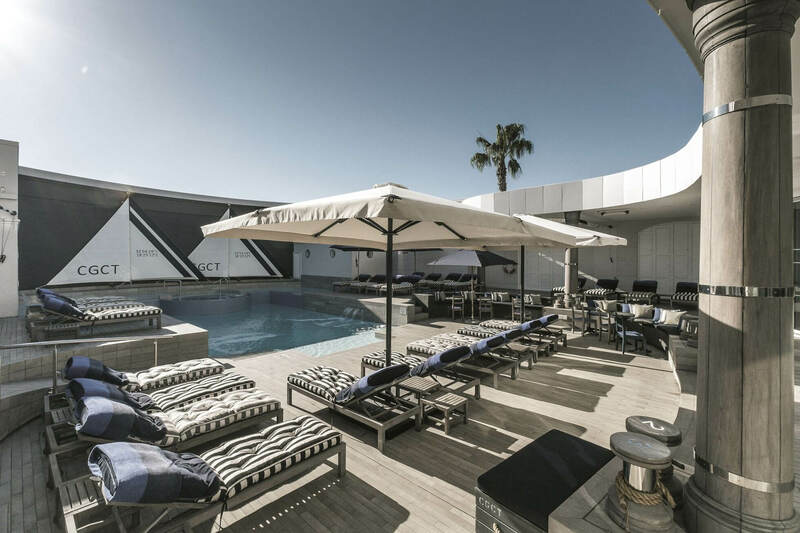 Re-design & refurbishment of the Pool Deck at the Cape Grace Hotel situated on the water’s edge of the international yacht marina in Cape Town’s Waterfront. 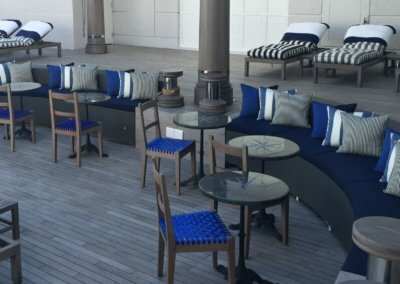 Given the surrounding, it was fitting to imagine lying on the deck of a luxury cruise ship. 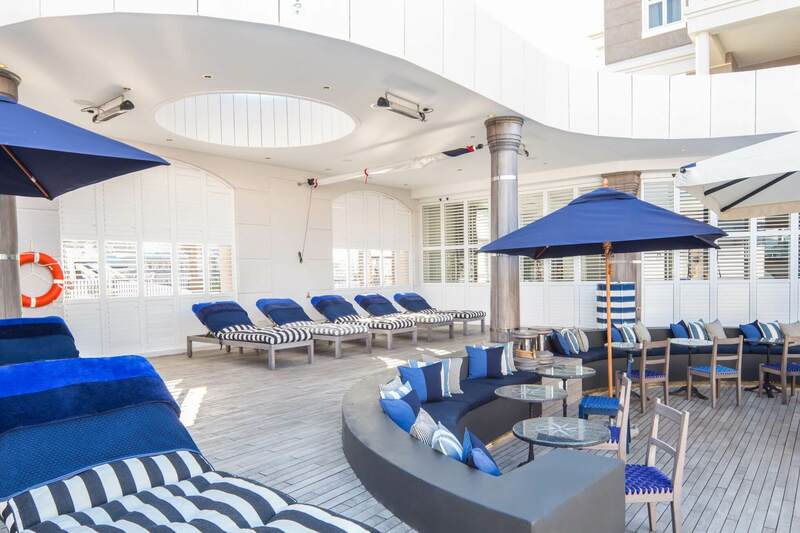 The refurbishment included creating a curved roof with porthole skylights giving it a nautical feel. 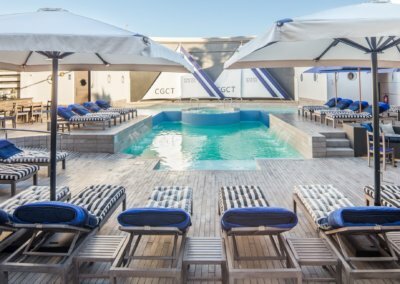 Timber-look tiles were used to give the feeling of walking “on a ship’s pool deck”, with large canvass sails as shading.